December 16, 2013 Categories Geekdom, Post a Day 2013/2014coworker, geek, gift, lanyard, post a day, present, Star Trek, workLeave a Comment on Day 154. New lanyard! One of my coworkers got me a late birthday present and I love it! 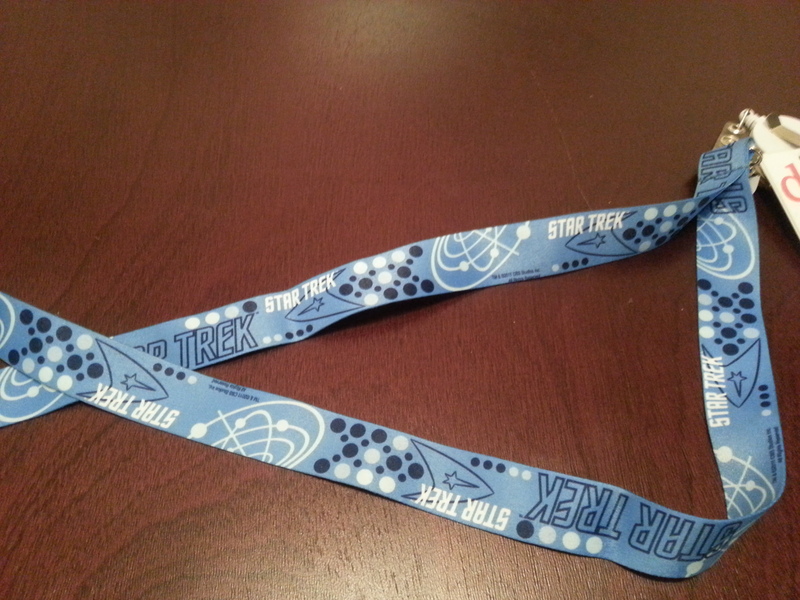 She got me a Star Trek lanyard for work. That is such a thoughtful gift, it makes me very happy. It’s so nice that most of the time I get along really well with all my coworkers. We have our moments, because we’re all human, but overall it’s a great atmosphere. I look forward to using my new lanyard for a long time.